Contests are a great way to get a lot of conversation and buzz happening around your brand. Many brands focus on the short-term goals: get new followers and leads, and improve engagement. These are worthy goals, but only focusing on immediate outcomes can be a missed opportunity. Your contest doesn’t only have to yield short-term results. You can also plan ways to keep the momentum from your social contest going for months, increasing the ROI of the results your contest has yielded. Use these five tips to maximize your momentum from your social contests and keep it going long after it’s over. 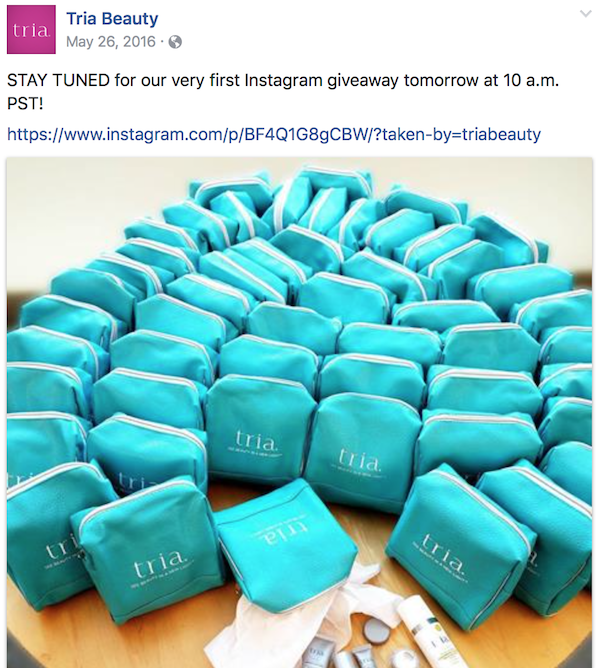 The user-generated content that contests often encourage or require from participants can be extremely useful for your business—but only if you actually use it. User-generated content can help drive sales, build rapport with followers, convert new customers, and even help you foster and nurture an online community. This is why brands are sharing UGC everywhere, from social media and their sites, to live (or printed) displays in their brick-and-mortar stores. Sharing UGC obtained from your contest everywhere you can—even on your site and in your brick-and-mortar store—can help you continue the reap the benefits. Keep the momentum from your social contest going by continually sharing UGC from it. Post shout-outs on social media to other worthy entries who might not have won, and mention why you still loved the entry. Use site display tools to upload the UGC on to your site (bonus points if you share it on relevant product pages). Most important, place a CTA with every piece of UGC you feature. Why? This practice encourages users to create and share more content, ideally with a designated hashtag attached. This will make it easy for you to continue to find and share more content, which all contributes in an upward spiral that will benefit your business. Some contest hashtags are distinct and specific—especially those that are related to seasonal events. Some contest hashtags, though, are general enough that they can be used as recurring campaign or branded hashtags. If this sounds like yours, then by all means, keep using that contest hashtag for ongoing engagement. Awareness and recognition are essential if you want to get your followers to use your hashtag—especially if you want them to share it attached to UGC. If people are already familiar with your hashtag after a contest, place it in your profile and attach it to your posts on Instagram and Twitter and let them know it’s still active—and that you still want them to use it, even though the contest is over. One of the best parts of social contests is how closely your followers watch your social media. Many brands start promoting contests before the contest begins because it gets the hype started early. Users will watch your account like hawks, waiting for instructions, end dates, and winner announcements. Of course they will want to know: What next?! You want them to keep watching your account. Once one contest is over, remind them to keep an eye out for future contests. Even if you aren’t going to run one for several months, you can drop hints or bits of information what the next contest will be sooner than that to keep users watching your business. If you remind them of this in your email autoresponders, they’ll be less likely to unsubscribe, too. “Thank you” messages go a long way in business, especially in social media, and they can help keep the engagement humming along going once your contest is over. Both before and when you announce the winner, thank everyone who entered on social media. If you’ve used lead-collecting contest software, you’ve hopefully also captured users’ lead information as part of their contest entries. Send out an autoresponder thanking all entrants for participating in the contest. This is a great, nonaggressive, non-salesy way to start building a relationship with new leads. It’s also a relatively easy way to build segmented lists to use for future marketing. In these emails, encourage users to follow you on social media to stay up-to-date on upcoming contests, sweepstakes, and giveaways. If they’ve already entered once, you know that’s probably enough motivation to get them to follow you, too, which can also help build familiarity and rapport long term. Once you’ve sent out those Thank You emails to all participants, you can use that lead information to distribute special exclusive offers to drive sales. Exclusive coupons, discounts, or first-access to waitlists or limited products is a great reward for users who entered your contest, even if they didn’t win the main prize. It shows them that you value their time and participation, and it can help convert leads into actual customers instead of just letting the contest participation fizzle out. You can maximize the momentum of your contest while it’s still running. How? Try running multi-stage contests. 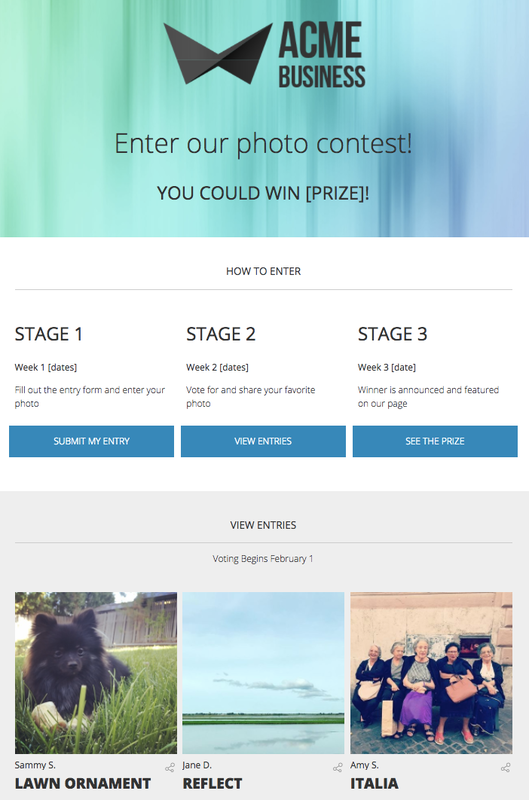 A fantastic example of multi-stage contests is a photo contest where participants will first enter image submissions and then can later vote on the winner (ShortStack even has this available as an easy-to-customize contest template). Participants will often call on their friends (more than once) to help them win, giving you a ton of bonus exposure. The more engagement you’ve got while the contest is active, the easier it will be to maximize the effects of your efforts. While the major short-term impact alone contests can bring is huge and worth the investments of time and money, sustaining the effort and driving long-term impacts from your contests will compound those benefits significantly. The key is to maximize engagement and action while the contest is still live, and then to these five strategies to keep that momentum going.